I had to write and let you know that my neighbour recently had some garden maintenance work carried out by Steve and his assistant from Eds Garden Maintenance. They had to use my side entrance and not only did they do an excellent job for my neighbour but Steve fixed my fence and when he had finished washed down my decking and left it better than he found it. 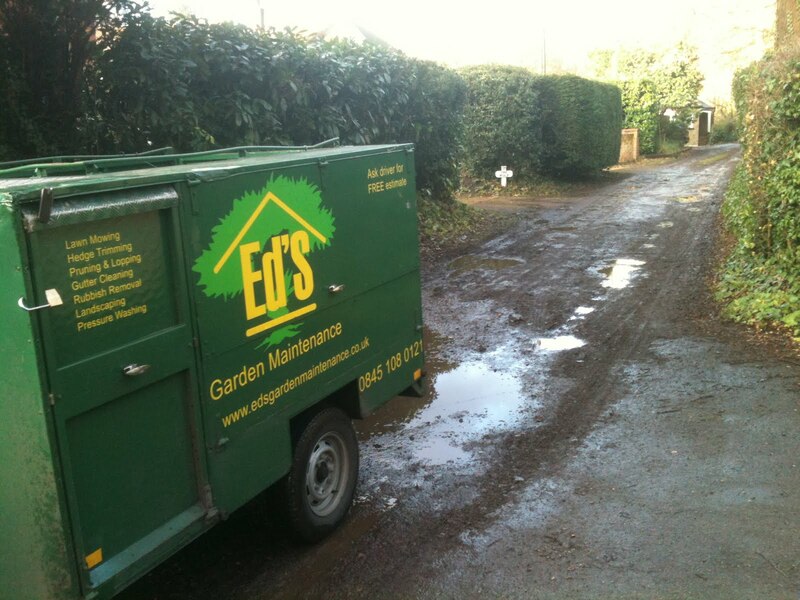 If I ever need any garden maintenance work done I would not hesitate to give Eds Garden Maintenance a call or recommend a friend if this is the level of service Eds offer. 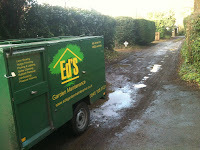 John Marshall from Ed’s Garden Maintenance found the benefits of his branded trailer. “Whilst on the way to a job recently I stopped at my own doctor’s surgery to drop off a repeat prescription. As I returned to my car parked outside, I was approached by a man also coming out of the surgery, who having seen my “Ed’s” trailer, asked if I cut hedges. Having duly replied yes and saying I could have a look immediately, I followed him in his car to his house just half a mile away. If you have some garden maintenance work to be done why not give us a call and an operator will come round to give you a free estimate. We pride ourselves on offering a prompt, efficient and reliable service.